The I.R.S has been instructed by the Trump Administration via Executive Order not to collect the information ( Line 61 ) to assess ObamaCare Penalties. Giving millions of Americans and small businesses a huge break and boosting the economy. Ordering the I.R.S. not or ask about your healthcare situation( Line 61 ) makes sure no further penalties can be assessed. Effectively throwing a monkey wrench into the ObamaCare tax and penalty system that has wrecked the American economy. As Congress sits on their hands and does nothing this one act alone has given millions of families much needed help. 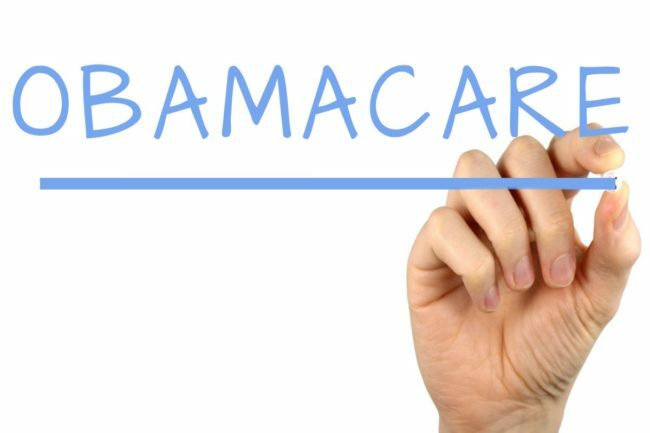 Millennials who don’t get ObamaCare will actually get a tax return this year. Small business can expand not having to worry about the mandates. Majorly boosting the consumer confidence and adding to the stock market rally. Trump can do this because the President has the responsibility to direct all employees of the federal government. Congress may wait and try to introduce ObamaCare Lite but Trump has beat them to the punch back on January 20th. Why is this not more widely reported on mainstream fake news? Nothing on nightly news. A couple begrudging mentions in the national papers. Local or city newspapers and television? Forget about it. Alternative sources and conservative economic media have reported on it. The answer is obvious. It is not politically convenient. This is such cause for celebration for all Americans yet almost nothing is being done by the 5th column to advertise the fact to the people. This is important. A lot senior citizens who rely on these “news sources” are not even aware of this. Lower income people and even low information consumers are still making financial and healthcare decisions based on old information. Section 2 of the Executive Order of Jan 20th reads. Small businesses over 50 people that don’t comply with the Obamacare can pay as much as $5000 per employee as places like Macdonalds get waivers. The penalty to an individual can be as high as $2800 in the higher tax brackets. Even at the lower end even $600 can be a low income earner’s entire tax return. The effect goes far beyond that. Now families and individuals can effectively ignore the disastrous law all together. No longer saddled with having to get useless health insurance with high premiums. Saving many hundreds of dollars a month for an average family. Choosing alternative means of healthcare not prescribed under the draconian ObamaCare. If they know about it. It seems some big corporate tax preparers are still asking about Obamacare and taking the penalty anyway. Where as some say they have saved a lot because of the executive order and weren’t asked at all by small tax firms. What is going on? Perhaps some big tax preparers are simply so afraid of the IRS they won’t adjust their policies. In order to cover themselves. Unfortunately big tax preparers are not following either directive essentially ignoring the IRS and Trumps Executive Order. Corporate tax preparers are erring on the side of caution with your money. Most will not let you complete a return on their system as they have not updated their software. All agreed with the fact the line 61 can be left blank now. Told they are afraid of their returns being flagged for further information at a later date if line 61 is not filled. As was the regular practice during the Obama era because line 61 was mandatory. If you left it blank you were signing yourself up for a witch hunt and possible audit. NO ONE KNOWS WHAT THE IRS WILL DO NOW. NOT EVEN THE IRS. Now the line is voluntary and you are basically volunteering to pay the tax. Big tax preparers are erring on the side of caution WITH YOUR MONEY as the law could turn on a dime. Yet isn’t that your decision? If you have been without healthcare and don’t want to volunteer to pay a tax that may disappear. Turbo Tax and Drake software have changed their software in accordance letting you leave line 61 blank. You could just file yourself or with small accountant firm and not volunteer yourself to pay the tax. It seems the big companies won’t let you do it with them. Not a tax expert of course and no tax advice is being offered. Ask a tax professional about the IRS directive cited here.